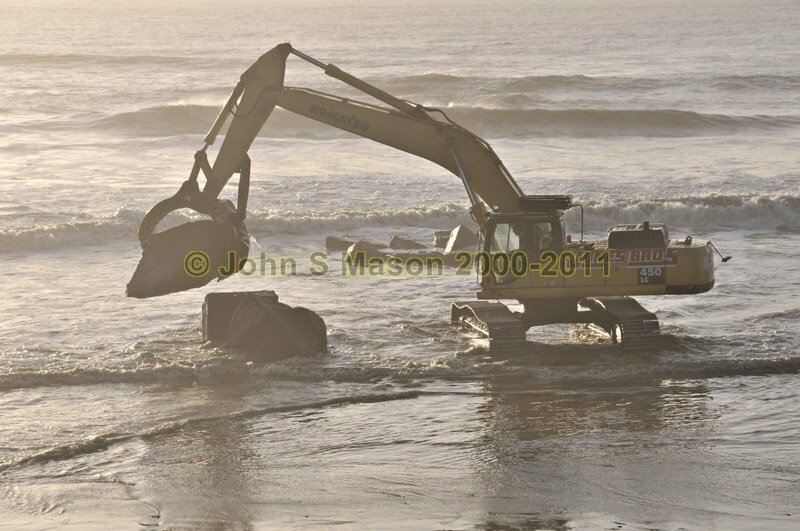 The Tywyn Sea-defences Project: huge boulders, dropped by barge, are being brought from the surf using big tracked grabs. Product number 021006. Email me to enquire about this image: click HERE.